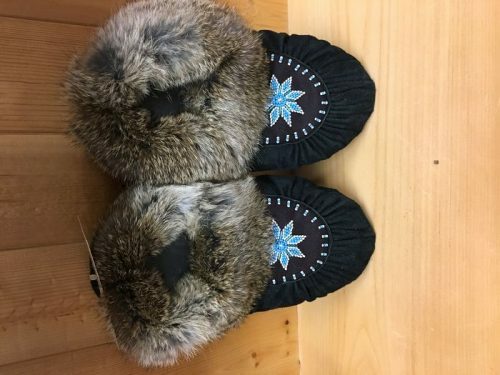 Slippers featured on our webpage are unique and one of a kind. 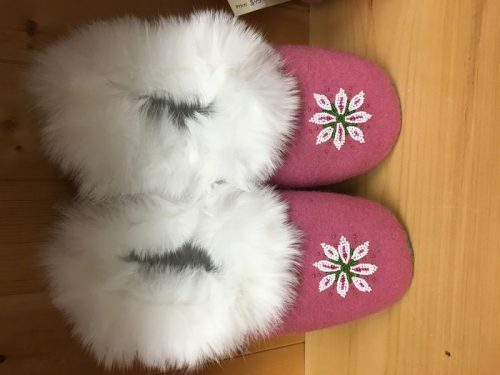 No two pairs of slippers are alike. 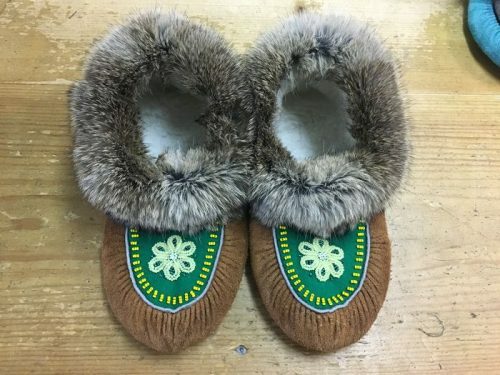 We carry traditional slippers with beadwork, duffel slippers with beadwork, leather slippers with beadwork, slippers with sealskin tongue and trim and hide slippers with sealskin tongue and trim. To order a pair, please email us what style you like and we will see if we can find one to match your taste.